"Gudmar (Gymnema sylvestra) is best Ayurvedic medicine for diabetes. Known as Madhunashini in Sanskrit, which means ‘destroyer of sugar’, this herb lowers sugar levels in blood and urine. It decreases sugar cravings by making it hard for the tongue to perceive sweet taste for a period of time after it is consumed, which in turn neutralises unwanted blood sugar. 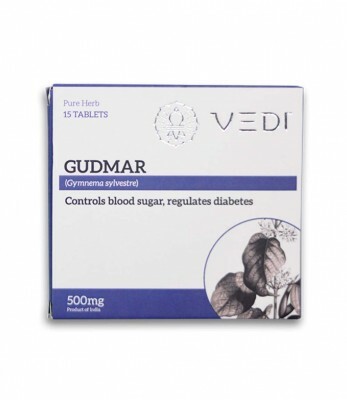 Gudmar is so effective that it lowers blood sugar levels in both type I and type II diabetes. 1. Controls blood sugar, regulates diabetes.